New Way® Linear Air Slides provide a non-contact air bearing alternative to conventional bearing-based slides. 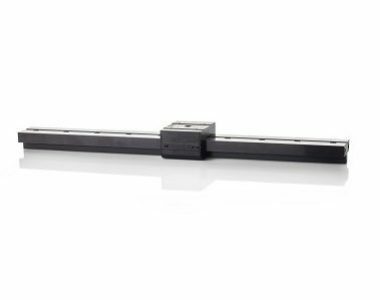 Packaged as an integrated system, New Way Linear Air Slides are comprised of a porous carbon air bearing media housed in aluminum (the ‘stage’) and a precision aluminum guide rail. The linear air slides feature our patented air bearing design, Porous Media TechnologyTM , which removes friction by distributing a thin and stiff layer of air across the bearing face. The natural permeability of the carbon ensures an even flow of air. This unique design offers improvement in both precision and operational efficiencies, as well as a robust, crash-resistant design in the event of air supply failure. A key differentiator of New Way Air Slides is our unique mechanism for integrating the slide and the rail. Vacuum replication is used to position the stage?against the rail, eliminating vibration and harmonic noise. The resultant superior stability, straightness, and stiffness ensure nano-level positioning is achieved each and every time. The use of air greatly reduces the maintenance profile in operations. Not only are there no burdensome lubrication requirements to perform, but contamination and outgassing concerns become obsolete. New Way offers four types of linear slides to accommodate a wide range of customer requirements. All built on our foundational Porous Media TechnologyTM, each type provides standard off-the-shelf options in terms of slide size and rail length. Custom slides are also available. The simplest of the slides, End-Supported Air Slides are designed for use in situations where continuous support of the slide is impossible or impractical. 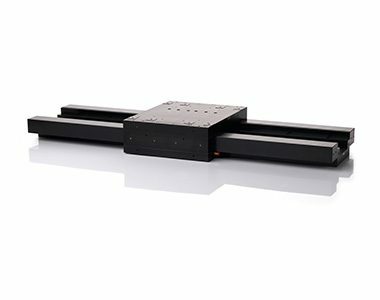 End-Supported slides are often used in a gantry in traditional X/Y axis configurations, yet can also be used in the Z axis by fixing the stage and moving the guide bar for controlling probes. The Dovetail series features a lean, low profile track providing high and consistent acceleration even with moderate loads. The guide bar is mounted in continuous support configurations. 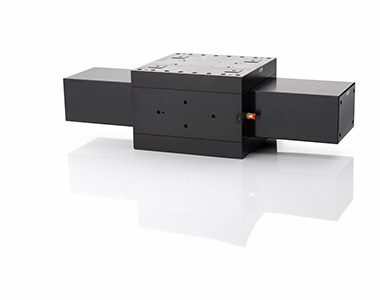 These linear air slides can also be stacked and include mounts for encoders and non-contact linear motors. The Boxway slides partner our widest stage with a T-shaped rail, enabling the largest load capacity. 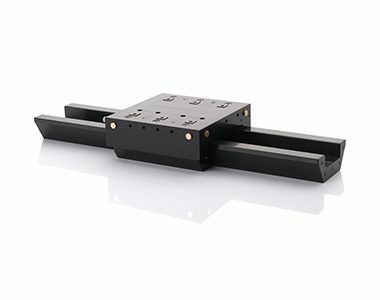 Boxway slides are continuously-supported, and also include mounts for non-contact linear motors and encoders. The AirWay system is designed as an alternative for existing rolling element guide systems bolted to a flat surface. Once the current system is unscrewed and removed, the AirWay system is designed to be bolted back down in the same place. It is used in the same manner, but now with all the benefits of Frictionless MotionTM. New Way also offers customers the ability to provide their own slide for integration into a slide series. Contact us to tell us more about your application to get you started! New Way offers four types of linear slides to accommodate a wide range of customer requirements. All built on our foundational Porous Media TechnologyTM , each type provides standard off-the-shelf options in terms of slide size and rail length. Custom slides are also available. Contact us for a complimentary consultation to determine which linear air slide series is the best fit for your application!